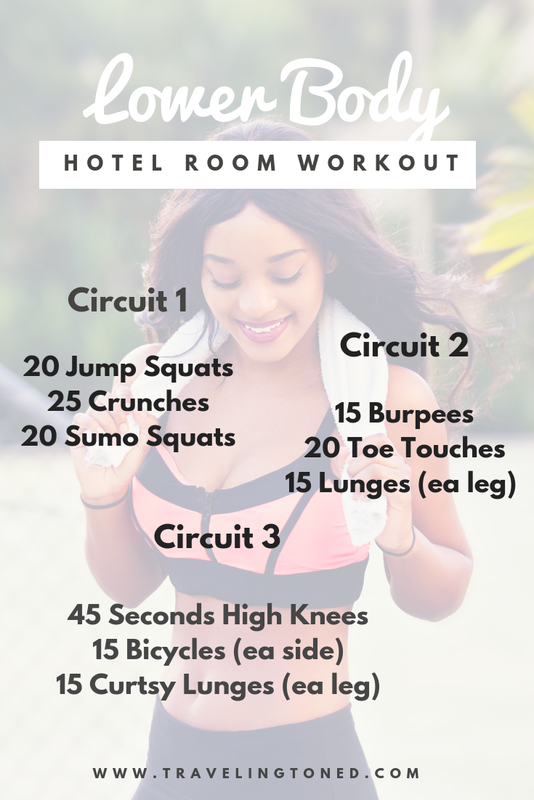 Just because you are away from your favorite fitness studio, doesn’t mean you cant get in killer workout in your hotel room! I recommend doing each circuit 3 times through, which should take you about 30 minutes. Looking for more workouts you can do at home or on vacation? Join my Online Community for $14.99 a month and get access to all my workouts and recipes! I write you a NEW Upper Body and NEW Lower Body Workout EACH WEEK! !